Juvenile arthritis (JA) also known as pediatric rheumatic disease, JA is an umbrella term used to describe the many autoimmune and inflammatory conditions or pediatric rheumatic diseases that can develop in children under the age of 16. Nearly 300,000 children in the US are affected. JA not only may affect the musculoskeletal system, but can also involve the eyes, skin and gastrointestinal tract. It may not seem possible a disease that affects the joints can also affect the eyes. Children with juvenile arthritis can develop eye problems either as a result of the disease itself or rarely as a side effect of some medications. The most common eye problem is inflammation in the part of the eye called the Uvea, A condition known as Uveitis. If the inflammation is not detected and treated early, scarring and vision problems can occur. Glaucoma, cataracts, Optic Neuritis and permanent visual damage (including blindness) are all complications that could result from severe uveitis. Cataracts occur when the normally clear lens inside of the eye becomes cloudy. If the cataract is small, it probably will not affect your child’s vision. Large cataracts can make it difficult to see clearly. 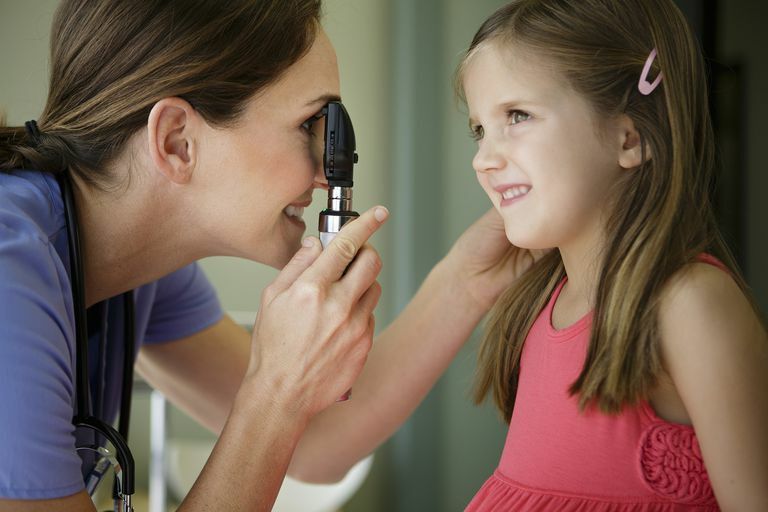 Your child’s eye doctor may recommend surgery to remove it if it interferes with vision. Failing to remove a large cataract can cause permanent vision problems in young children because the cloudy lens may interfere with the development of the part of the brain responsible for vision. Optic neuritis develops when the sheath that surrounds the optic nerve becomes damaged due to inflammation. IV and oral steroids can help your child recover from optic neuritis, although in severe cases, the damage may be permanent. Symptoms may include flashing lights, loss of vision, color vision or peripheral vision loss and pain that intensifies when your child moves his or her eyes.